Originally, I was not planning to get a screen protector for the Switch. Then, in the weeks leading to its release, I watched a Spawn Wave video talking about tempered glass screen protectors. They seemed to offer better protection than the annoying standard film protectors while removing most of the hassles during application. Long story short: I was convinced. So, a week before the Switch release, I ordered the orzly Tempered Glass Screen Protector through Amazon, well aware of the estimated delivery range of March 17 through April 4. Secretly, I was hoping it would magically arrive sometime during the Switch release weekend. It did not. No issues with the packaging. The package did finally arrive Wednesday of last week (March 29). 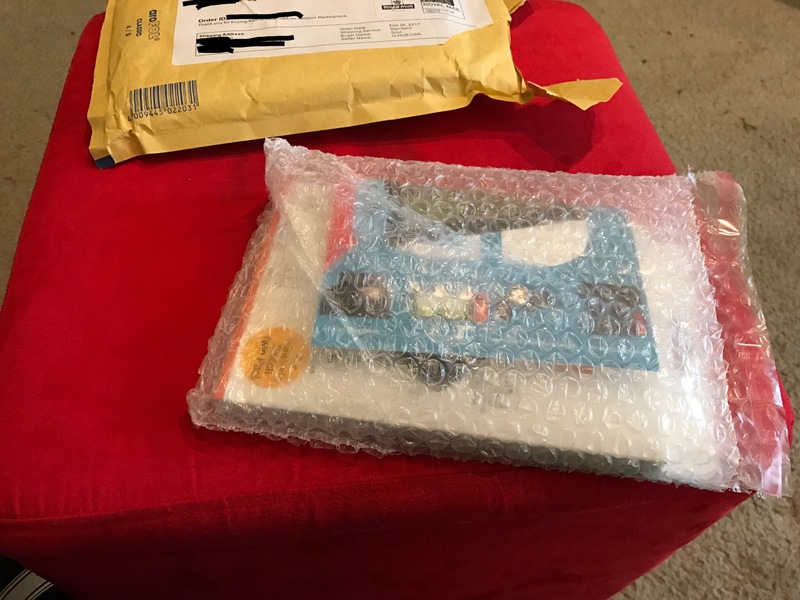 The packaging was in seemingly good condition, especially considering it was shipped from Europe and had spent a month making its way home. Inside, neatly packed in a bubble baggie, were the screen protector box and a “Thank You” note from orzly. 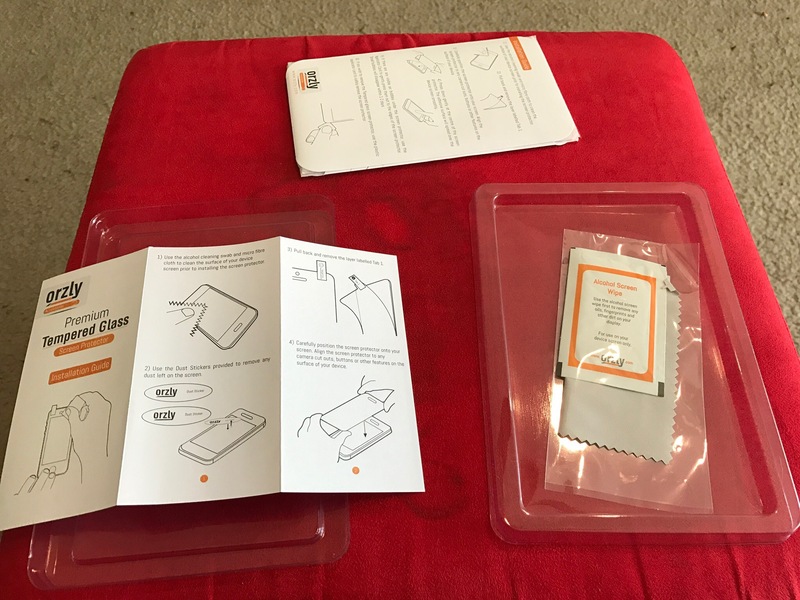 I had become concerned that I had ordered the “inferior” set of screen protectors after watching an unboxing and application video of another big contender, the amFilm Tempered Glass Screen Protector. My worries were quickly put to rest when I opened the box and saw that all the details where there: alcohol wipe, micro fiber cloth and even the dust removal stickers! The box comes packed with everything needed for prep and application. Application was a breeze. I probably spent more time meticulously cleaning the Switch’s screen over and over than actually applying the screen protector. My screen had accumulated thick smudge marks on the bottom two corners (where the Dock touches the screen). Good news is that, after three or so iterations of using the alcohol wipe followed by micro fiber wiping, all the marks were gone and the screen was, once again, pristine. 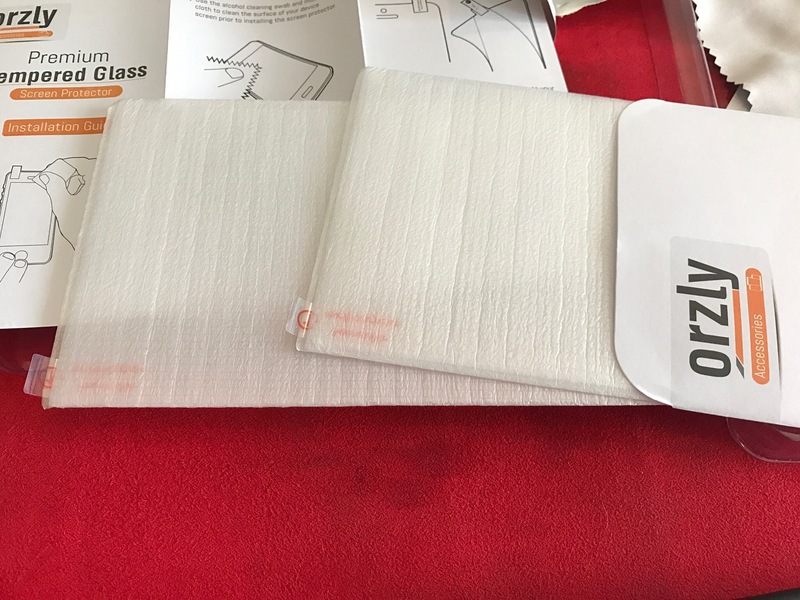 Each screen protector is individually packed in its own foam sleeve. I pealed the label off the sticky side of the screen protector and proceeded to apply, lining it up with the light sensor and the speaker slits. During the first two attempts, I felt it did not “fall” into place quite right so I removed it (super easy) and tried again. On that third and last attempt, the screen protector pretty much applied itself. I lined it with the left side of the Switch screen and the left speaker slit. Then, watched as the screen protector slowly adhered itself to the screen. It was slow enough that I was able to gently guide the edges to a close using the provided plastic applicator. Then, finally, I gave the whole thing a good deal of wiping with the micro fiber cloth to make sure everything was nice and stuck. The screen protector is nearly invisible once the application is complete. It is only noticeable by how the edges are slightly raised above the rest of the console’s surface. The end result exceeded my expectations! 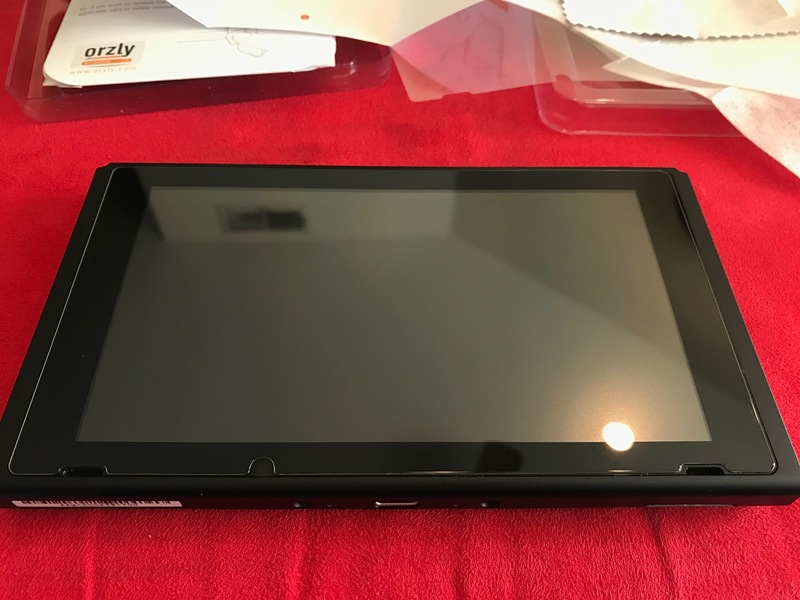 The tempered glass is only really noticeable when looking at its edges, as they are noticeably raised in comparison to the rest of the Switch surface. This does mean that the Switch is now much more snug when docked. Yet, after a good five days of play while docked, the screen protector has no noticeable marks or indentations. Also, it is showing no signs of coming loose. So, it does not seem like heat from docked use will loosen the adhesive used by these. During the times that I played undocked, I noticed no degradation of the screen’s brightness or drop in perceptible quality of the display. 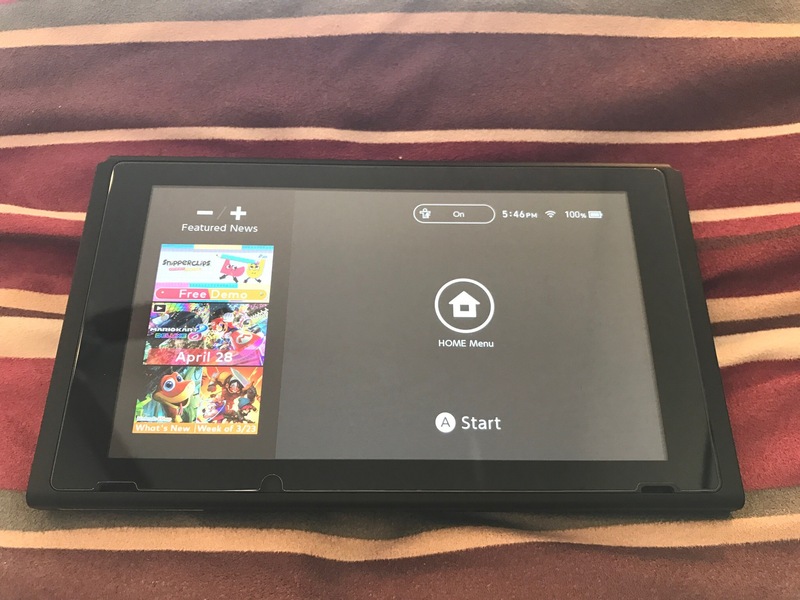 It very much looks just like it did before, except now, I have the extra “warm and fuzzy” knowing that my Switch’s screen is protected. For the price of these, I highly encourage any Switch owner that plans to undock their console, to go ahead and order some. If these orzly ones have you convinced, do know that the company has made improvements to their logistics and now advertises same week deliveries. So, you will not have to wait a whole month, like my Switch had to. The quality and brightness of the Switch’s screen is unaffected by the screen protector. Next Post ARMS And Splatoon 2 Release Dates Revealed!